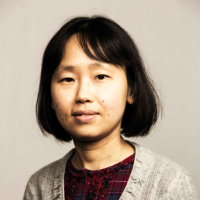 To celebrate our first year of publishing at Communications Biology, we sat down with in-house editor Jung-Eun Lee to discuss what makes a great submission, the impact of open access publishing and more. Jung-Eun Lee received her PhD in Biochemistry from Rutgers University and conducted her postdoctoral studies at the University of Michigan. Her postdoctoral research focused on aging and the mechanisms by which protein restriction regulates innate immunity in Drosophila. She also has research experience in stress signaling, apoptosis, metabolism and circadian biology. Jung-Eun is based in Springer Nature's New York office. Q: Can you tell us a bit about your background and what most interested you about joining the Communications Biology team? I’m a circadian biologist and biochemist, who became intrigued by the low protein diet for its impact on boosting innate immunity and longevity. My fascination with the science behind the effects of protein restriction led to my career independence award K99, when I was a postdoctoral research fellow at the University of Michigan. I had much less luck in publishing this finding in traditionally high-impact journals. As my manuscript was going through many selective journals, I felt that there was a lot of room for improvement in terms of turnaround time for the first review and keeping the authors in the loop. When I saw the job opening from Communications Biology, I thought it might be an opportunity for me to shape a new journal that would promote solid (rather than flashy) publications useful to the community. It is becoming ever more difficult to publish solid work in selective journals due to their requirement of a broad readership. It is not uncommon for authors to spend so much time in finding their manuscripts a home for two reasons: their perception of the impact of the work does not match the journals’ expectation; authors and journals don’t agree with how much work is enough to make the manuscript acceptable for publication. By narrowing this gap, I believe that Communications Biology can provide authors with opportunities to publish their great work welcomed by each scientific community within the broad scope of biology, which would save valuable resources in academia and help early-career researchers move up in their career faster. Being an open access journal, Communications Biology can also promote the work of our authors more widely than may be possible with subscription journals. Q: How do you work together with the Chief Editor (Dr. Brooke La Flamme) as well as the external editorial board? How do your roles differ? The Chief Editor manages the entire team to make sure that all editorial tasks get done in a timely manner and that they adhere to the company policy. The editors work together with the Chief Editor to lay out strategies to promote the visibility of the journal, to recruit high-quality manuscripts, and to improve our author service. In-house editors currently manage the majority of manuscripts submitted to the journal and often evaluate studies outside their former research areas due to the broad scope of our journal. As our editorial board grows, the proportion of manuscripts handled by external editors will also increase. In contrast to the in-house editors, external editorial board members are usually assigned manuscripts that are in their expert areas. The in-house editorial team also works with our external editorial board members to ensure they understand the editorial process. We also look to them for expert advice in specific cases. Q: Can you explain a bit about the journal's commitment to championing early-career researchers? I was an early-career researcher and understand how difficult it is for early-career scientists to make successful transitions to fulfilling, secure jobs. Now that citations of one’s publications are equated with their productivity, we strive to maximize the visibility of our publications through tweeting, press releases, or “behind-the-paper” blog posts. We also highlight promising early-career researchers in our Q&A and “Reviewer of the Month” series. Given that corresponding authors who fund the study are often not the authors who carry out most of the experimental work, we hope that these articles will improve the recognition of unsung heroes and help them move up their career. Q: What advice would you give someone who is interested in submitting to, or reviewing for, Communications Biology? If you are interested in submitting a manuscript to us, there is a simple way of finding out whether it would be a good fit for Communications Biology: ask yourself whether this study represents a meaningful advance over previous work in your field. Would the community of your interest welcome this manuscript because it has solved a long-standing question, provided new, useful information, or improved traditional approaches? If your answer is yes, chances will be in your favor. If you are a postdoctoral fellow, I strongly encourage you to review manuscripts for your own benefits. Postdoctoral fellows often prepare for review comments with their supervisors but they don’t always have opportunities to see other reviewers’ comments or receive feedback for their own comments because it is usually their supervisors who correspond with the editors. Seasoned investigators’ review comments tend to balance big-picture thinking and experimental suggestions that would strengthen the author’s claim. Early-career scientists can learn from senior scientists’ review comments where to focus their review and how to recommend publication of a given manuscript, depending on the editorial bar of each journal. This review practice will help early-career scientists understand the peer-review process and give them better strategies that allow them to be successful in their own publications. Also, if postdoctoral fellows only review behind the scenes with their advisors, the journal may not know about their contribution. We like to acknowledge our reviewers! Q: What are some of the most exciting research topics the journal has covered in its first year? We published so many great papers in 2018, for which I’m very grateful. Our editorial team has recently picked our favorites, which cover topics ranging from cancer metabolism to environmental DNA, antibiotics resistance, oxytocin, and evolution. Our papers published so far this year are just as exciting (for example, this article on a tiny dinosaur). Q: What are you most excited for going into the journal's second year of publishing? I feel that more people are recognizing our journal now than last year as we are publishing more papers. Our reviewers, authors, and researchers we have met at conferences have also been spreading a positive message about us. I am optimistic that this increasing recognition will bring us more high-quality manuscripts this year. We are implementing transparent peer review and should begin to see published reviewer reports very soon. We will continue our efforts to reward high-performing reviewers in our “Reviewer of the Month” program. As our editorial team is growing rapidly, we hope to accomplish more and serve our authors even better this year. Stay tuned!